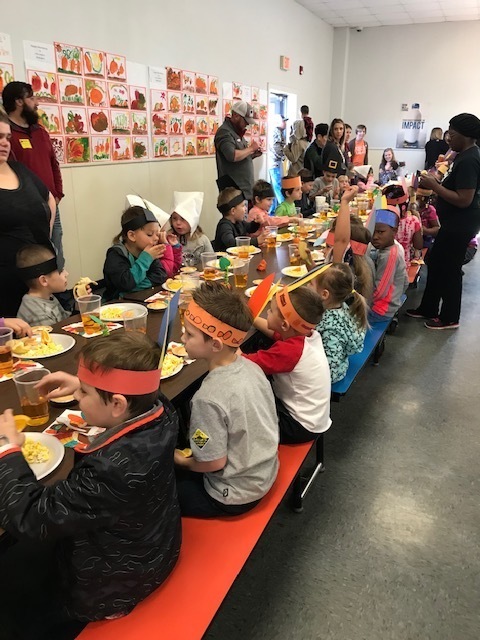 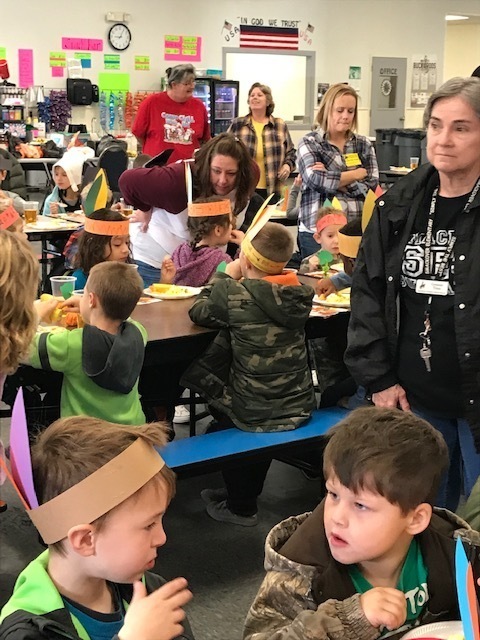 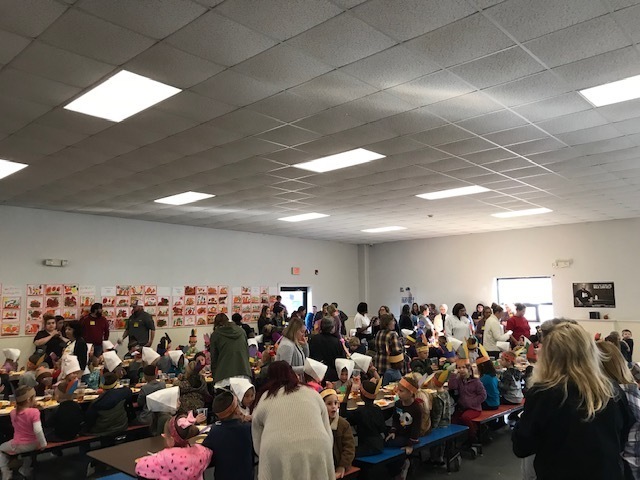 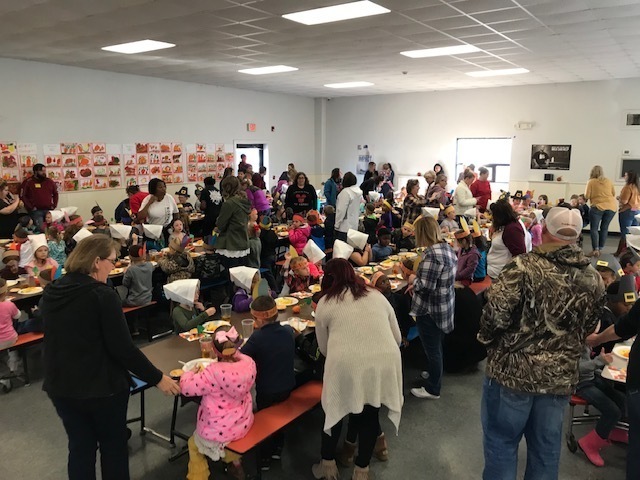 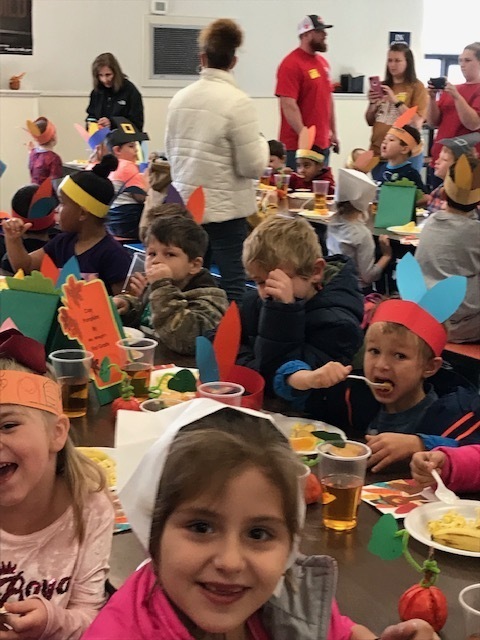 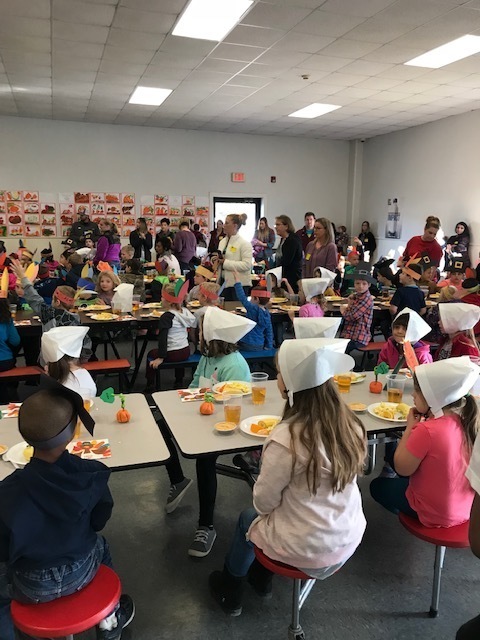 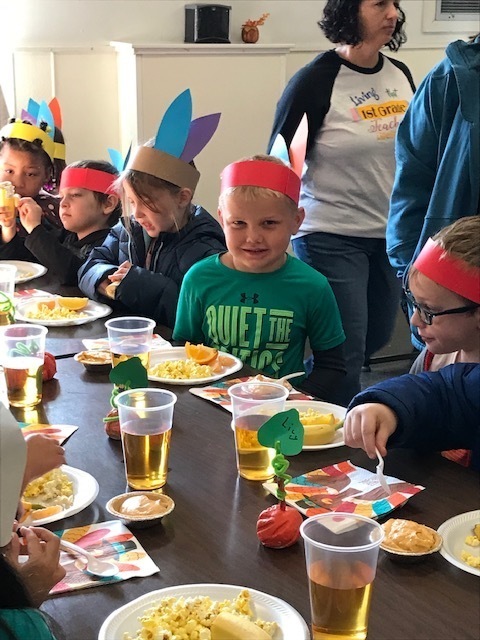 Elementary School and Norphlet ELementary School kindergarten and first grade students held their annual Thanksgiving Feast at the Smackover cafeteria. 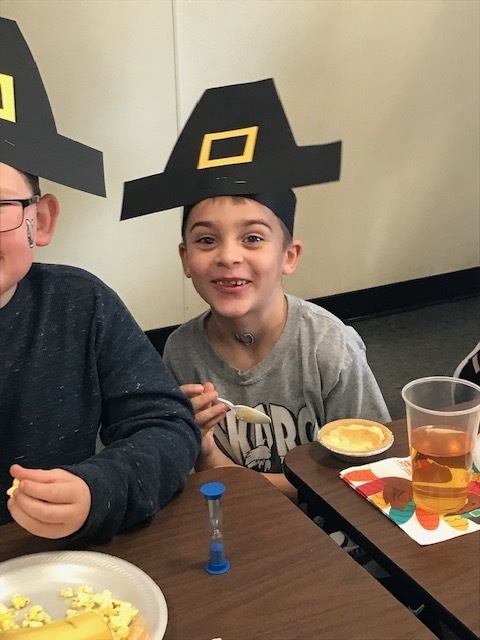 Kindergarten students dressed up as Native Americans and first grade students were the pilgrims. 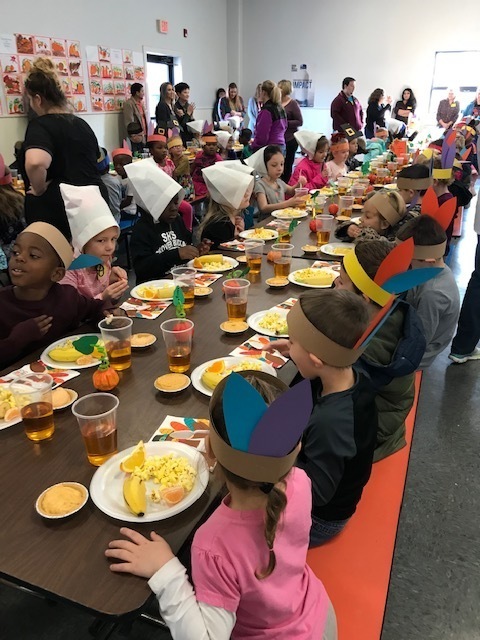 The students dined on a "traditional" feast including apple juice, bananas, oranges, pumpkin meringue pie, and popcorn.